Blending feminine silhouettes with playful details, this collection of Camilla Elphick flats will add a striking feel to your footwear favourites. 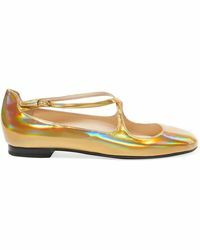 Keep an eye out for head-turning holographic leather uppers, pointed toes and stacked flat heels. 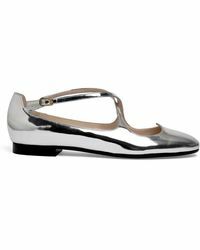 Criss-cross straps, polished metal buckles and quirky accents add interest to these covetable designs. 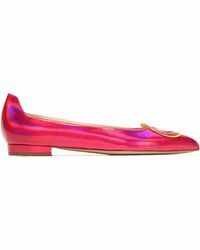 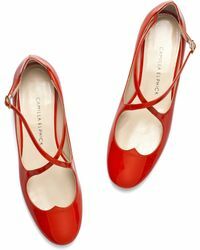 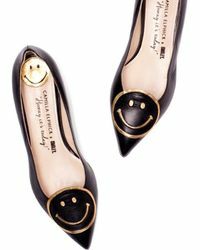 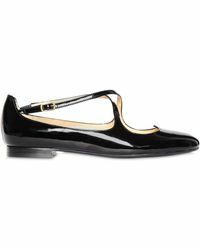 Wear Camilla Elphick flats with skinny denim or pencil skirts to give them an instant focal point.